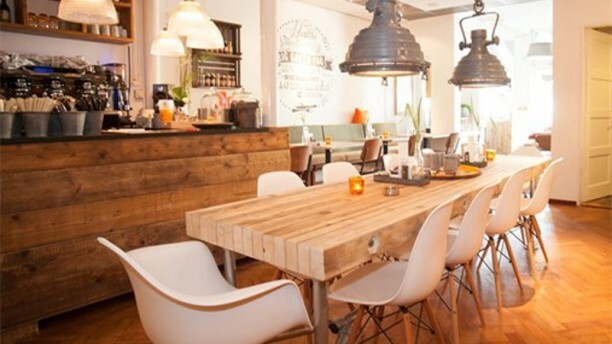 Brasserie 21 is a new restaurant in the center of Assen. It is a restaurant where the service makes sure you have the day of your life. With of course great food and nice drinks. Build your own tosti during lunch or try to make the best hamburger you have ever eaten. All possible at Brasserie 21! Lovely spot, beautiful decor and friendly staff. Food was average to good but nothing to scream about. Overall a nice dining experience, but if your looking for gourmet food this is very much a brasserie. Thought it was kind of them to call to inform us that they had changed their menu for TT week. Food is quite tasty; saw some reviews about their spare ribs - and it's true - it's quite nice. In fact the TT (3-course) menu is good for value. The starter - spicy-ish pumpkin soup and bruschetta with goat cheese + caramelised red onion. The main was the nice spare ribs... Finished off with a generous berries compote + 2 scoops of strawberry sorbet and top with whipped cream. In short, two words: lekker eten. Ps: toilet is clean - one of the things I always checked out in eating places... Probably one improvement for a too-observant patron - there was a bit of cobweb in the cooler for the chilled bottle of sparkling water, which wasn't a pleasant thing to see.